The risk research and rating concentrate on mainland China’s smartphone market under the industry conditions and environments in 2014. Forecasts and projections have been performed for the trend of industry risk over the next five years (2014-2019). 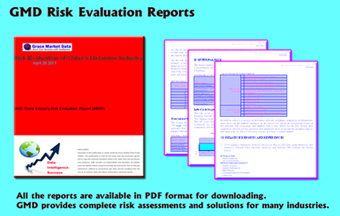 All the identified risk factors are measured quantitatively according to GMD’s novel numeric system, i.e. each risk is evaluated with GMD Risk Index Number (GMD RIN) and GMD Risk Intensity Level (GMD RIL). These in-depth appraisals and analysis about risk considerations & controls provide a comprehensive understanding of the current risk factors and likelihood of risk development trends. Moreover, this report also concludes Critical Success Factors (CSFs) and novel strategies to help identify fresh growth point and overcome the threats and obstacles of doing manufacture/business in China's smartphone industry.